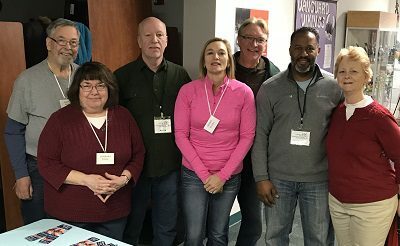 Members of Holy Trinity joined volunteers and families at Vanguard Charter Academy in support of Wyoming Winterfest on Saturday, January 27. After helping the cause by stuffing goodie bags, we explored the halls to see what other services are offered to the community. We talked with representatives from Circles Wyoming and Hand 2 Hand. This was an opportunity for Holy Trinity to get involved with the Wyoming community. The One Wyoming Community Collaborative hosts this event annually with a goal of bringing neighbors (students and mentors) together to improve the quality of life in our community. There were seven different locations throughout the city. Each site offered free and friendly activities, food and giveaways.